Nature’s most efficient means of cooling is through the evaporation of water. 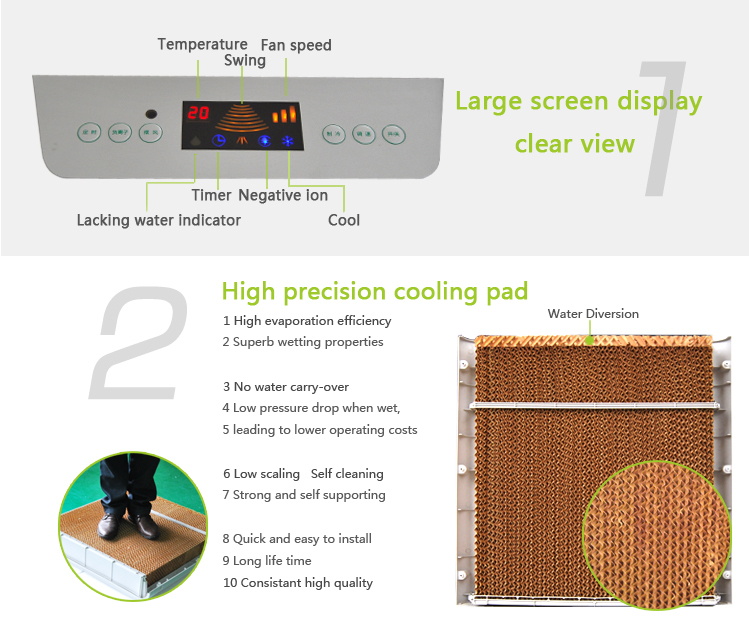 Evaporative cooling works on the principle of heat absorption by moisture evaporation. It also happens on human skin, the body sweat to cool temperature down.This process is same as you feel cooler when wind blowing from sea. The evaporative air cooler produces effective cooling by combining the natural process water evaporation with a simple, reliable air moving system. Fresh outside air is filtered through the saturated evaporative media, cooled by evaporation, and circulated by a blower. 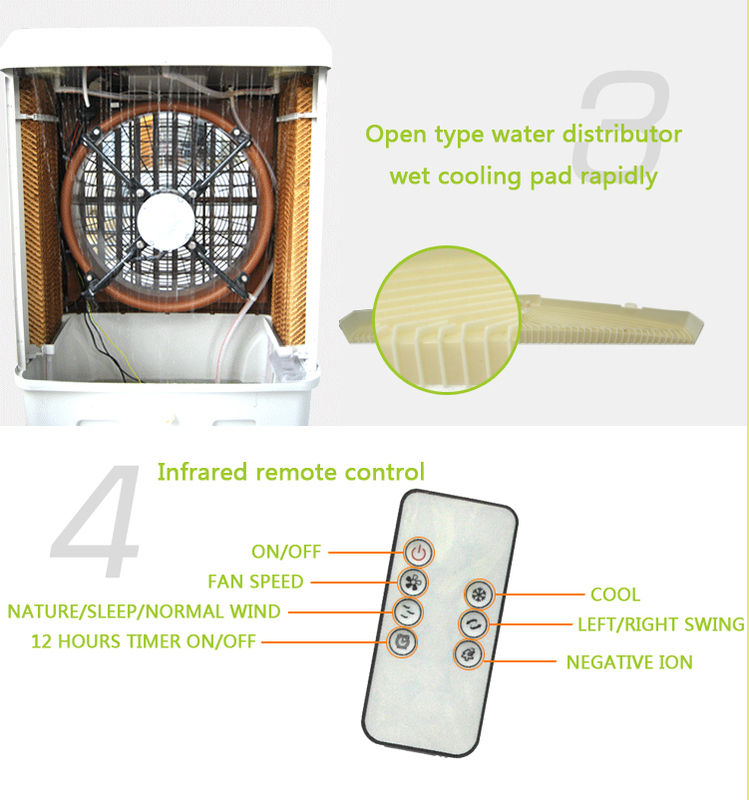 Evaporative Air cooler is one of longest history home appliance, even elder than air conditioner. It is called desert cooler in Middle East, and also is called swamp cooler in US.The frame of evaporative cooler is very simple. Water from bottom pan of the unit is pumped to the top and allowed to flow down over the evaporation cooling pad of the spot cooler, evenly saturating the pads, Then a powerful blower pulls air through the pads, forcing the water to evaporate which lowers the ambient temperature . The air cooler air air is then blown by the unit at a high velocity where you direct the cooler air to go. It is definitely perfect for outdoor cooling. Water proof motor and water pump protection function against low water level. Aluminum material cabinet motor, 100% copper wire, Long lifetime water pump, and high quality auto water inlet valve. 4. Unique designed float valve, available water pressure from 0 bar to 5.5 bar. 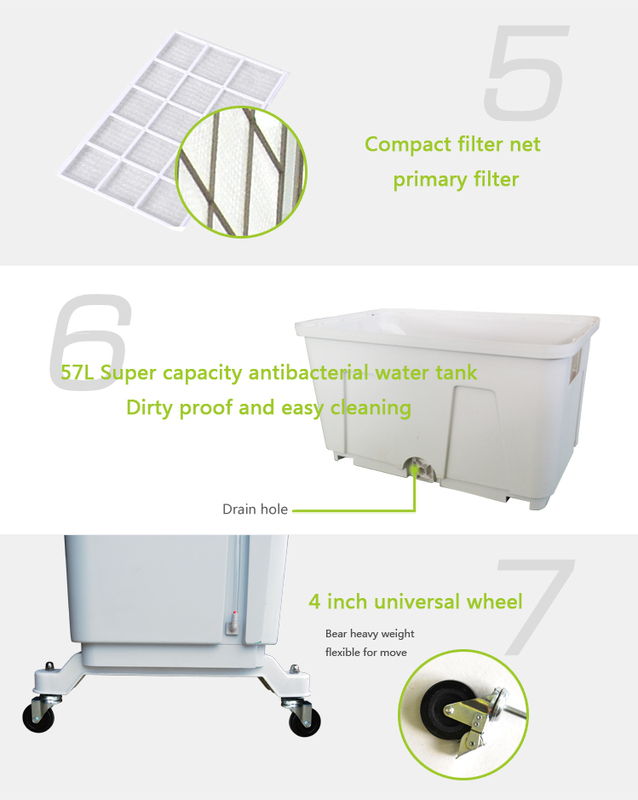 The latest super cooler comes with more functions, includes auto swing, remote control, auto timing off and etc. These make things easier to manage. The machine comes with optional auto clean function, however you need to change water every several hours.